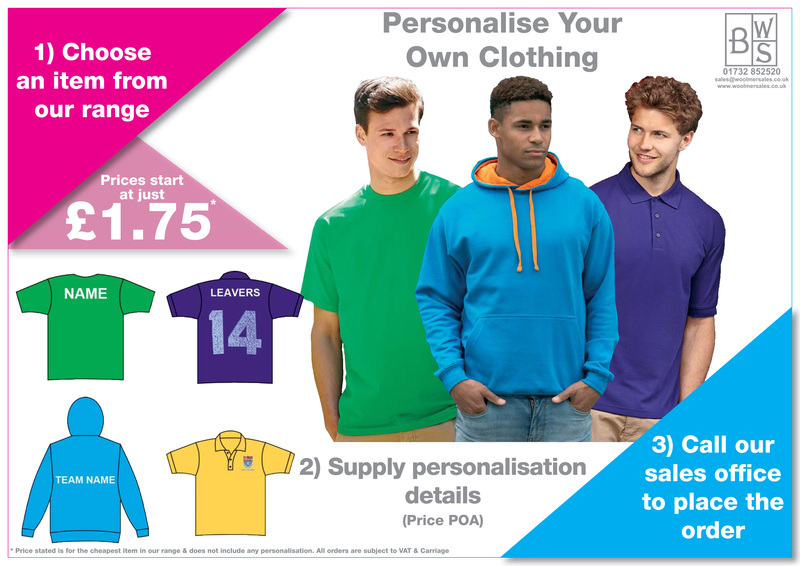 Personalising your clothing couldn’t be easier & if you’ve got a whole team to kit out give our sales office a call today for a quote. This entry was posted in Bob Woolmer Sales, Newsletter/Offers and tagged embroidered clothing, embroidered hoodies, embroidered hoody, end of school, leavers clothing, leavers hoodies, leavers hoody, leaving school, name on clothing, name on hoodies, name on hoody, names on clothing, names on hoodies, names on hoody, personalised clothing, personalised hoodies, personalised hoody, tour clothing, tour hoodies, tour hoody, tour kit, year group clothing, year group hoodies, year group hoody, year group kit. A new term & a new start.